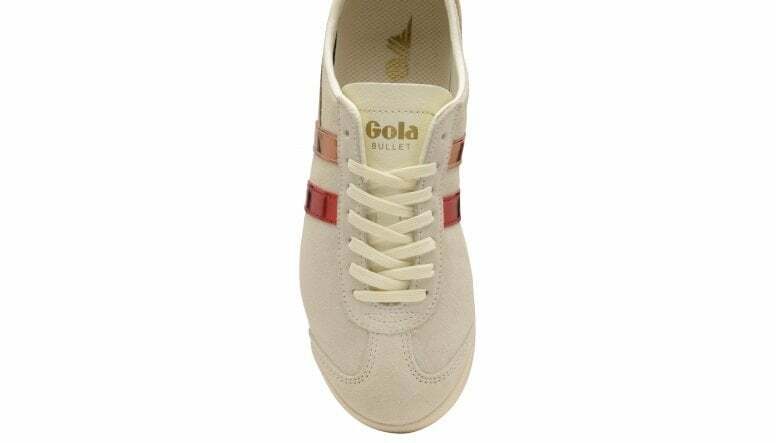 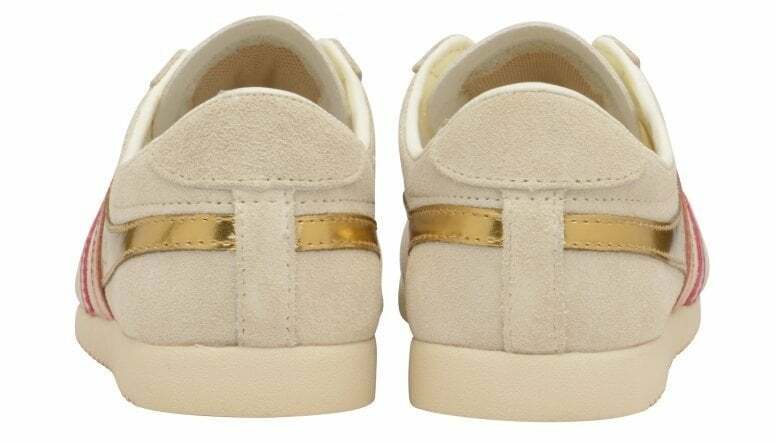 Gola Classics originally launched the Bullet trainer in 1976, from there this women’s trainer has had numerous updates and colour combinations. 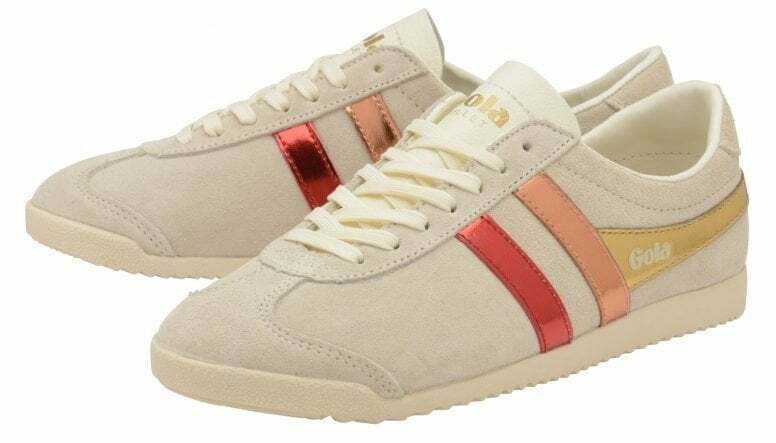 This women’s Bullet Flare is the latest incarnation for the Gola trainer, with a bright metallic trim contrasting the off white suede upper. 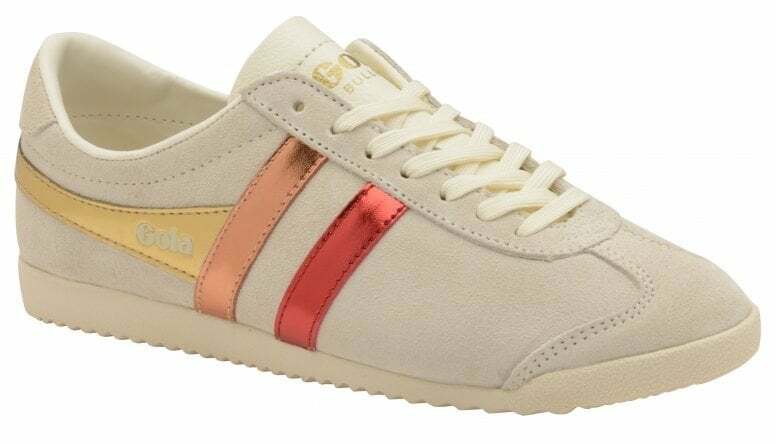 A style for the bold, this Gola Classics women’s trainer is on trend and will get you noticed for all the right reasons.